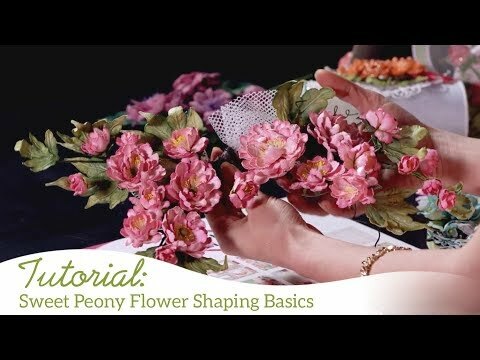 To see how to shape the peony, watch the video at https://youtu.be/L9_MLkvpGPQ. Instructions: Cut a piece of cardboard at 10 x 12 inch and make a frame of 1 3/8 inches all the way round, cover this with cream cardstock, take the Honey comb stamp from the sweet as Honey set and stamp it with Versamark Ink and sprinkle the Clear Embossing powder over it and melt it with the Heat tool, do this all the way round on the frame then go over it with Vintage photo Ink. 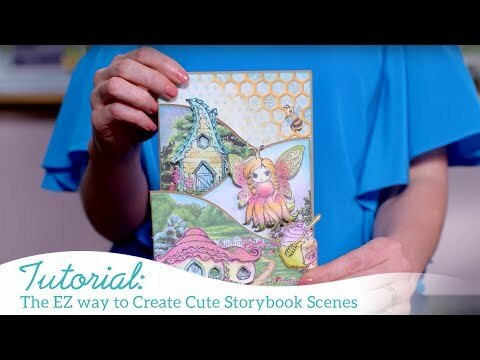 Cut a piece of paper from the collection in the size of your frame and glue it in the back of the canvas, now put some glue and Crystal clear on the wings of the bees. If you have a photo, mat it on a piece of yellow cardstock and glue this on top of the paper, you can also use a die to cut a shape. Now glue the frame on the Canvas so it looks like a shadow box. Stamp the Coneflower from the Blossoming coneflower set and the backyard Blossoms set and the Garden Edge Cone flower with Rich Cocoa on white cardstock. Color them on top with Tangelo and then Sunflower yellow and a mix of Buttercup and blend this in each other, put some glue on the top and sprinkle the decorative sand on it for the pollen. Stamp the tiny long flowers from the Backyard Blossom set with the Rich Cocoa and color them with a mix of yellows and the Leaf Green, cut them out with the coordinating dies. Stamp the sweet peonies on white cardstock with potter's clay ink, color with morocco, and peanut brittle and cut them out with coordinating dies. Place the petals in the flower shaping mold, mist with water and and run through the die cutting machine. 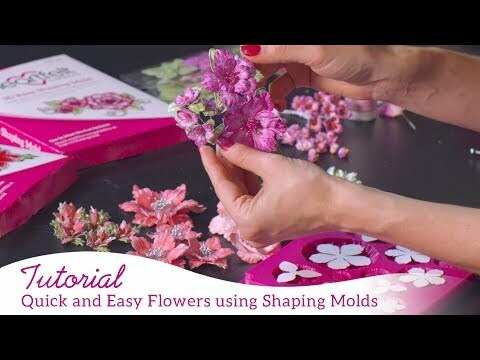 Finish shaping with the Deluxe Flower Shaping Kit. Take the Honey comb cutting die and put it on the same paper of the collection and cut some pieces out, glue 2 pieces of them on the left upper corner, glue a real Honey Stick on it and make a nice bow with the yellow ribbon. Stamp with the Graphite Black some bees and cut them out with the coordinating die, then color them with a mix of the yellows and make the stripes black with a marker, put some glue on the wings and sprinkle some of the Crystal Clear on it and let it dry. Now you can make a nice arrangement with all the flowers you made on the right bottom, cut a honeycomb out of the paper collection with a big die from the Sweet as honey collection, ink the edges, take your sentiment stamp also from that collection and stamp a sentiment on it and Glue it down on the top right corner, put a bee on top, too. Now take some gesso and make it thinner with water and give the whole thing a white wash, make with the Nuvo drops some drops on the long flowers and on the frame and done, ready to put it on your wall.